Complex solutions for water purification, including elimination of corrosion and sediment. 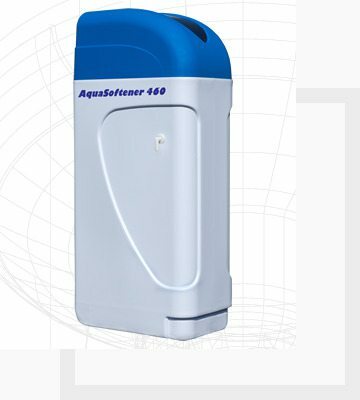 The most effective method of removal legionella bacteria from water distribution. What is the extend of our work. Water treatment and problems associated with the filtration, disinfection and softening the area, which the company EuroClean Ltd. since 1999. Our specialty is mainly manufacture and supply of technological units solving the problems of investors substandard water and water management. In addition to technology for water treatment and contracted to provide complete design activities. The main emphasis on the ecology and economy of our technology. The vast majority of our supplied water treatment equipment is not used for its normal functioning of any chemicals. Water treatment EuroClean KEUV TV each day adjusted in Czech Republic, Slovak Republic and Poland 500.000 m3 hot water (DHW). Currently we adjust the hot water for about 1 million households. Treatment and water filtration devices is performed, which themselves produce. These include ecological water treatment KEUV TV, OXCL to disinfect water, water softeners or eliminate nitrates, iron and more. Simultaneously, supply pumps, domestic water, filtering the mixture, and various chemicals. Our Business: treatment of drinking water for households, filtration, disinfection. 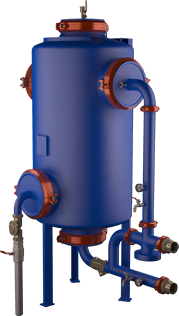 Industrial water treatment equipment for hospitals, hotels, dairies, boiler rooms, waterworks, breweries, swimming pools and more. For Siemens, we installed a chlorine dioxide generator EUROCLEAN OXCL 01. For Sazka a.s. we installed the equipment for removing iron from water – the treatment plant KEUV TV 02 and a water softener. Softening station from 1979 and 1985 was already out of order, so it was dismounted – including the pressure salt tank – and replaced with a new, fully automatic softener station. For the Prague Castle, we installed the electrolytic water treatment EUROCLEAN KEUV TV 02, which removes iron from the water and the chlorine dioxide generator EUROCLEAN OXCL to disinfect water. 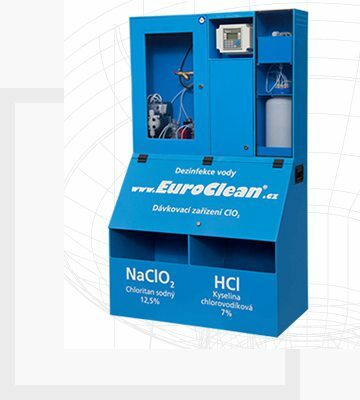 The solution from EuroClean Ltd. in Protivin modernises and simplifies the process of editing the raw water into potable water. We worked with the request of the client and the solution is based on the possibility of using existing functional device. The mechanical parts which are not damaged are used for further smooth operation of the treatment plant. Dysfunctional and obsolete components are replaced with new, fully corresponding to the current legislative regulations, or are completely eliminated as they are unnecessary. To eliminate water quality problems of cooling circuits with sediment formation and ingrowth of cooling towers an immediate solution was suggested, which included complementing of the refilling water with water softening device, dosing of chlorine dioxide and installation of electrolytic treatment plant. For Orea Hotels we installed a chlorine dioxide generator EUROCLEAN OXCL 01 for water disinfection. Treatment of water for the hospital. For the National Theatre in Prague, we installed equipment for the treatment of hot water EUROCLEAN KEUV TV 02, water softeners and iron remover. For Lonza Biotec s.r.o. we adressed to ensure a water disinfection periodically by dosing chlorine dioxide. Furthermore, treatment of the cooling water by electrolytic treatment plants. For JFK, we installed a chlorine dioxide generator EUROCLEAN OXCL 1, which provides hot water disinfection. 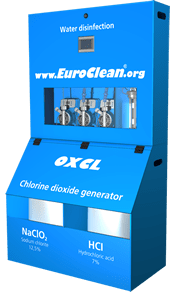 Chlorine dioxide generator EuroClean OXCL was placed in the heat exchanger station.